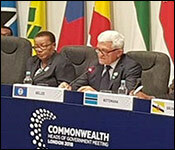 Last week, Belize had a full contingent at the bi-annual Commonwealth Heads of Government meeting, which was held in London. The Belize team was headed by Foreign Minister Wilfred Elrington, and he was joined by House Speaker Laura Tucker-Longsworth; Foreign Affairs CEO, Patrick Andrews; Special Envoy for Women and Children, Kim Simplis-Barrow,; Belize's High Commissioner to the UK, Perla Perdomo. LGBTQ activist Caleb Orozco also attended to lobby for gay rights. 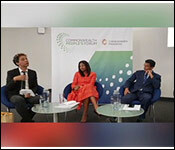 They joined leaders and representatives from 53 countries of the Commonwealth at different venues all across London, for discussions under the theme, "Towards a Common Future". The meeting was preceded by 4 side events called the Business Forum, the Women's Forum, the People's Forum, and the Youth Forum. CEO Andrews represented Belize at the Business Forum session on Financial Regulations and working alongside the Commonwealth to address the challenges of De-risking. Kim Simplis-Barrow served as a panelist at the People's Forum on Legislative Reform in the Commonwealth. She also attended several sessions of the Women's Forum. For the Youth Forum, Belize was represented by Kristin Marin, Dominque Noralez, and Kris Miller. UNIBAM Executive Director Caleb Orozco served as a panelist for the People's Forum, and he presented civil society positions at the Common Foreign Ministers' Meeting with Civil Society. The leaders were particularly interested in discussing climate change, and a press release from the Government of Belize says that the Heads of Government issued a "landmark Commonwealth Blue Charter"
This charter calls on Commonwealth to become "Blue Charter" Champions. The Government of Belize has volunteered to become one of them, and it hopes to partner with the governments of Mauritius, and Australia to implement programmes aimed at coral reef restoration. And a part of the meeting, was dedicated specifically to Belize. 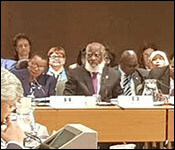 At it's conclusion, the Commonwealth issued a communique which includes a statement in support of Belize's sovereignty and territorial integrity. That statement is reaffirmed at each meeting each year, so nothing new was broadcast to Guatemala. Concerned the US might throw weight behind Guate. Its entirely possible. We see.